I don’t like online learning — I like to be in the classroom where I can interact with other students. I’m too social for online learning — online learning is too isolating and lonely. How about you? Share your preconceptions about online learning by commenting on this post. Online learning is also known as eLearning (electronic learning). But let’s consider a different proposition. What if we engage in WeLearning rather than eLearning, or even iLearning? iLearning (“I” Learning) — I want or need to learn something. I get on my computer or smart phone. I “Google” or use some more scholarly search tool to look up the information I am seeking. I choose from the available sites and information that seem to meet my learning needs. I learn what I need to know, and I might even discover related topics I didn’t expect would pique my interest. eLearning (one example) — My employer requires periodic training on topics sucs as sexual harassment, human subject research, or HIPPA. I receive an email message informing me that I must complete the training online by some specific date. I log in and work through the units — slides that cover the material, with an occasional multiple choice question to check my knowledge. WeLearning – I elect to take a course online. The course is billed as collaborative. I log on the first time and am asked to post my introduction. I read and reply to a few introductions posted by others, and our conversation begins. Soon, we become a community of learners. We are expected to use forums to sustain ongoing dialogue. We are expected to post assignments and then give and receive feedback among our scholar colleagues and faculty. We may be required to complete group projects. We learn with and from one another. There is a time and a reason for each of these models, and many more. 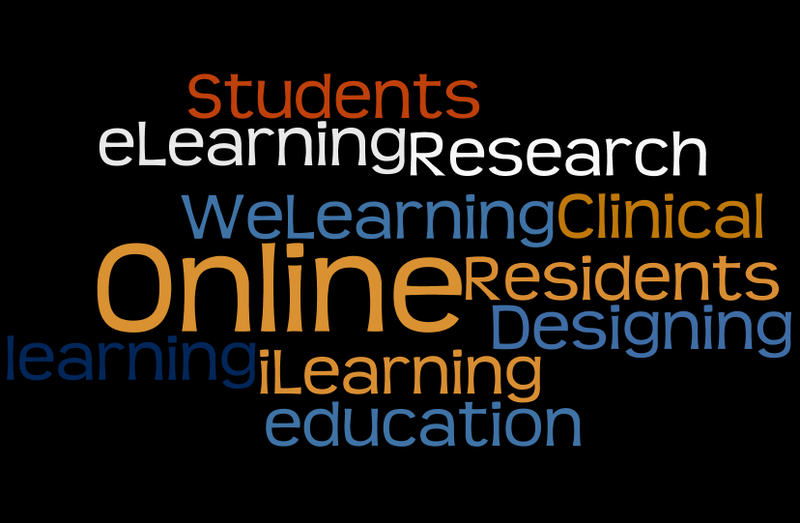 Designing Clinical Research for Students and Residents ONLINE is WeLearning.